Seekins Precision Crest Patch with Velcro backing. Extremely lightweight, suppressor compatible and infinitely adaptable because of the M-LOK attachment system, the Modular Combat Suppressor Rail is perfect for tactical or competition use. Precision machined from 6061-T6 aluminum, it features a seamless top picatinny rail and M-LOK or KeyMod slots at 3, 6 and 9 O’clock positions for solid mounting of accessories where needed. Maximum barrel diameter for barrel nut is 1.00"
The K20 + M20's Inclined grip surface provides the shooter with better control of the rifle and ease in recoil management. Shooters will also find that the K20 +M20 allows for a faster response time and more accurate return of fire. Designed to eliminate weight and un-necessary materials, the NOXs® handguard provides superior handling performance to the modern sporting rifle platform at an exceptional value. The NOXs® unique handguard design has an extremely thin profile, light weight construction and is simple to install with basic hand tools. Machined from 6061-T6 aluminum with an integral top rail, QD sling mounting points and is available with either M-LOK or KeyMod mounting systems. 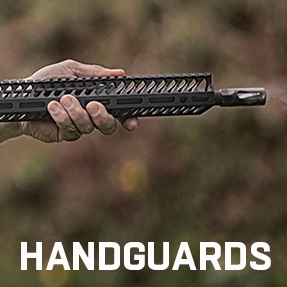 The NOXs® is the perfect handguard for competition, sporting applications or extreme duty use. The action has arrived. With its bead blasted finish and spiral fluting this action is ready to build a custom rifle to meet all of you precision rifle requirements. The action has 4 locking lugs with 90 degree bolt throw. The lugs are oriented so that when locked in battery they are oriented at 3 and 9 o'clock. This allows for a generous feed ramp and situates the lugs in the strongest area of the action. This updated unisex essential fits like a well-loved favorite, featuring a crew neck, short sleeves and designed with superior 100% Airlume combed and ring-spun cotton. Just when you were wondering what we could possibly think of next.. We are proud to introduce you to our latest innovation, Professional Composites by Seekins Precision. Upon holding one of these mugs in person, we knew we had to create some of our own. Based out of Utah, Mean Mugs Pottery crafted these unique Seekins mugs just in time for the holidays. Our 16oz standard mug is sure to impress both aesthetically and physically. All mugs are handcrafted from start to finish. With that in mind, there may be slight difference in size, color, and glaze consistency. Some color variation may occur due to weathering effect. The NX15 Skeletonized lower is uniquely designed to remove excess weight and materials without sacrificing the rifles integrity. The NX15 upper offers a great foundation for an extremely lightweight, easy to maneuver rifle. Utilizing high performance components and precision manufacturing; CNC machined from 7075-T6 billet materials, the NX15 upper is held to strict tolerances and quality controls. 6 slot Pic-rail - compatible with any Pic-rail mounted accessory - bipods, lights, lasers, fore grips, etc. We know, we know-- it's about time we teamed up with our long-time buddies at Grunt Style, which makes the release of these shirts all the sweeter! Per usual, these tees were printed, bagged, and tagged by the veterans and patriots of Grunt Style right here in the USA. The NX3G was specifically built to meet the fast paced, “turn and burn” styled shooting relevant to most 3Gun stages. By utilizing our skeletonized NOXs® (No-Excess) components and a 16” barrel, the NX3G weighs in at a mere 7lbs. With ease of maneuverability, and versatility in your hands, the NX3G is sure to give you an edge on the competition. The HAVAK Bravo is the latest introduction to our tactical line. Featuring our Havak action, match grade 5R barrel and the new KRG Bravo Chassis, this rifle is the perfect platform for you to compete in the Precision Rifle Series production division. Or, if you're just looking to ring some steel at the range, prepare to be on the receiving end of envious remarks and stares from your buddies. Precision CNC machined from solid billet aluminum, the SP223 Billet Lower is the best AR lower receiver available. Far exceeding Mil-Spec requirements, the SP 223 has features not found on standard lowers such as the Seekins Precision Enhanced Bolt Catch, receiver tensioning screw, ambi-bolt stop assembly and an oversized trigger guard. These features combined with superior fit and finish make the SP223 the perfect foundation for any AR build. This kit features all of the Seekins Precision manufactured lower receiver parts as well as the pins and springs needed for assembly of your AR15 lower receiver. Trigger Not Included. NX Series Complete Uppers are built to order. The skeletonized upper receiver is CNC machined from a solid billet of 7075-T6 aluminum to Seekins Precision exceptional standards, far exceeding mil-spec requirements. The receiver and included NOXs® Hand Guard top rails are seamless, providing maximum optics and accessory mounting options. Both the receiver and hand guard are Type III Class 2 Hardcoat Anodized matte black. Extremely lightweight and infinitely adaptable because of the M-LOK attachment system, the included NOXs® hand guard is perfect for tactical and competition use. Precision machined from 6061-T6 aluminum, it features a top Picatinny rail and M-LOK slots at 3, 6 and 9 O’clock positions for solid mounting of accessories where needed. The NX complete uppers come standard with a match grade barrel in .223 Wylde. Unlike conventional upper receivers, the NOXs® Billet gas system can be finely tuned for performance and reliability because of the included Seekins Precision Adjustable Gas Block. The gas block and Gas Tube are Melonite coated for reliability and ease of maintenance. Seekins highly effective Melonite coated Rook Flash Hider is also included. NX15 uppers are compatible with Mil-Spec lower receivers and most aftermarket rail systems. 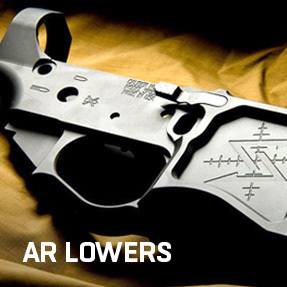 The Enhanced Bolt Catch is a drop in upgrade for any Mil-Spec lower receiver. The innovative design makes dropping the bolt or locking it back much easier than the standard button. Cheap hoodies need not apply. Seekins Precision’s MRAS provides shooters with a strong, durable, and light weight rail easily attached to any MLOK handguard. 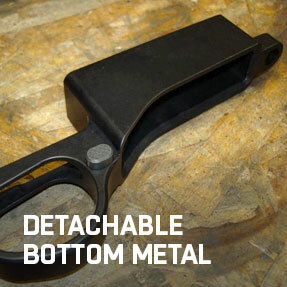 The MRAS’ unique scalloped design reduces over-all weight and serves as locking positions for the MRAC Clamp. Scopes are only as good as the rings they are mounted in. Seekins Precision Scope Rings are the best available through superior design, precision machining and obsessive attention to detail. 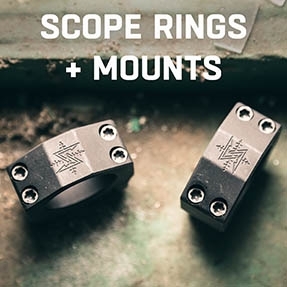 Built to the 1913 Picatinny Specification from 7075-T6 aluminum, these Seekins scope rings are available in 30mm and in heights from Low through AR High to accommodate most rifle and optic combinations. Scopes are only as good as the rings they are mounted in. Seekins Precision Scope Rings are the best available through superior design, precision machining and obsessive attention to detail. Built to the 1913 Picatinny Specification from 7075-T6 aluminum, these Seekins scope rings are available in 34mm and in heights from Low through AR High to accommodate most rifle and optic combinations. The NX15 Skeletonized lower is uniquely designed to remove excess weight and materials without sacrificing rifles integrity. The NX15 lower offers a great foundation for an extremely lightweight, easy to maneuver rifle. Utilizing high performance components and precision manufacturing; CNC machined from 7075-T6 billet materials, the NX15 lower is held to strict tolerances and quality controls. Features ambidextrous controls. The SP3Rv3 by Seekins Precision brings precision rifle stock performance to an AR platform handguard. Flat on the bottom for stability when shooting off of barricades or other objects, the unique design is thin for use in dynamic shooting and rifle handling situations. Machined from 6061-T6 aluminum with M-LOK slots, a top integrated picatinny rail and integral QD sling mounting points, the SP3Rv3 is the perfect handguard for tactical, competition or sporting applications. Seekins Precision Billet upper receivers combine strength and perfection into a rock-solid platform to build your dream AR. 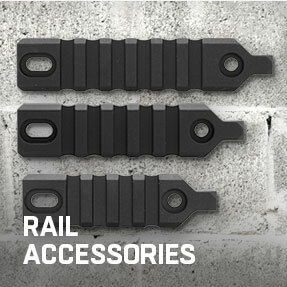 Seekins Precision's standard uppers are compatible with most Mil-Spec aftermarket rail systems and are based off of the traditional design - allowing multiple options on which to build from. The skeletonized upper receiver is CNC machined from a solid billet of 7075-T6 aluminum to Seekins Precision exceptional standards, far exceeding mil-spec requirements. The receiver and included NOXs® Hand Guard top rails are seamless, providing monolithic receiver performance and maximum optics and accessory mounting options. Both the receiver and hand guard are Type III Class 2 Hardcoat Anodized matte black. The NX8 complete upper come standard with a match grade barrel in .300BLK. Unlike conventional upper receivers, the NOXs® Billet gas system can be finely tuned for performance and reliability because of the included Seekins Precision Adjustable Gas Block. The gas block and Gas Tube are Melonite coated for reliability and ease of maintenance. Seekins highly effective Melonite coated Nest Flash Hider is also included. These rifles are built to order. The Professional Hunter has arrived. With its bead blasted finish, ProComp stock and match grade 5R barrel the Havak PH1 is ready to hit the field. Seekins Precision’s MRAC Clamp is our newest shooting accessory which accompanies our MRAS rails. Based on the excellence of the proven iRMT upper receiver and full ambi billet lower, the SP10 build kit offers unrivaled reliability, performance, and accuracy. 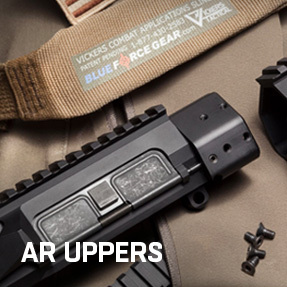 This upper/lower/handguard trifecta is the perfect jump start to your next AR10 build. The SP3Rv3 by Seekins Precision brings precision rifle stock performance to your Ruger ® Precision Rifle. Flat on the bottom for stability when shooting off of barricades or other objects, the unique design is thin for use in dynamic shooting and rifle handling situations. Machined from 6061-T6 aluminum with M-LOK slots, a top integrated picatinny rail and integral QD sling mounting points, the SP3Rv3 is the perfect handguard for tactical, competition or sporting applications. Scopes are only as good as the rings they are mounted in. Seekins Precision Scope Rings are the best available through superior design, precision machining and obsessive attention to detail. Built from 7075-T6 aluminum, these Seekins scope rings are available in .76" height to accommodate most rifle and optic combinations. This pistol is built to order. The 3G2 Complete Upper combines quick handling agility with precision rifle performance. This carbine platform is perfect for competition or tactical applications. Superior manufacturing is combined with the best components available including a CNC machined billet upper, 18” match grade barrel, an adjustable gas system and precision rifle style hand guard. All mounts are Type III Hardcoat Anodized matte black for a durable non-glare finish. Built to the 1913 Picatinny specification, Seekins Precision Scope Rings have a center lug machined directly into the bottom. This integral, flat recoil lug is far superior to cross bolt lug designs and fits precisely into Picatinny slots with minimal clearance. For maximum torque and strength, Grade 8 T-25 Torx® fasteners are used that will not strip out while being tightened to the appropriate specification. Available in 30mm with 0 or 20 moa. Available in 34mm with 20 moa. The SP10 offers the best features and components available on the market today. Designed by shooters, the SP10 offers extreme accuracy, full ambidextrous controls*, billet aluminum construction. Featuring our performance proven SP3Rv3 hand guard, 22” match grade barrel, Rifle Length Gas System, 3.5lb single stage trigger and our ATC brake making the SP10 the perfect 6.5 Creedmoor AR platform for hunting and competition use. A smooth and consistent reload is essential during both tactical and competition use. The Precision Rifle DBM magwell features an oversized magwell which enables mag changes to be smooth and carefree. Our ambidextrous mag release is neatly tucked into the trigger guard thus preventing any accidental releases. The front of the magwell has knurled barricade stop protecting your magazine and allowing solid shooting positions throughout any application. Works with all short action patterned R700 receivers. This complete upper receiver is designed specifically for use with a suppressor. The overall length is kept to a minimum, making it perfect for tactical applications or running short range 3 gun courses with a suppressed carbine. Superior manufacturing is combined with the best components available including a CNC machined billet upper, suppressor adaptable M-LOK hand guard, 8” match grade barrel and adjustable gas system. Seekins Precision’s Integrated Rail Mounting technology (iRMT) uppers integrate the rail mounting points into the upper retaining the stiffness of a true monolithic upper while allowing the rails to be completely modular. A quick and easy to install upgrade, the Billet Trigger Guard made to allow use with winter gloves and eliminates the uncomfortable gap between the grip and Mil-Spec trigger guards. Works with any Arca Swiss™ style clamp- Tripod, bipod, shooting bags, ball heads, etc. Seekins Precision proudly introduces the SP10 308 rifle. The SP10 offers the best features and components available on the market today. Designed by shooters, the SP10 offers extreme accuracy, full ambidextrous controls*, billet aluminum construction. Featuring our performance proven SP3Rv3 handguard, 18” match grade barrel coated Seekins Armor Black, Intermediate Gas system, Timney Competition Trigger factory set at 3lbs, and our ATC brake making the SP10 the perfect .308 AR platform for duty and competition use. 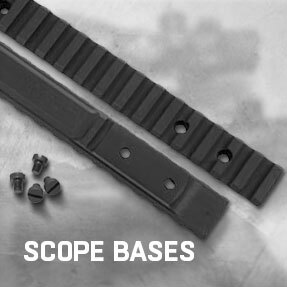 Scope bases are an often overlooked, yet critical component to building the best precision rifle system possible. Machined from 7075-T6 aluminum to the 1913 Picatinny Specification, Seekins Precision Scope Bases are the best components available for mounting precision optics to precision rifles. Keep your drink in its place and the faded rings off your tables with our round logo coasters. The SRS (Sling Rail System) is a Picatinny bipod mounting rail with a reinforced, integral, non-rotating sling attachment point that mounts on the bottom of bolt action rifle stocks. Available in: McMillan 3.0", Bell & Carlson 2.5" + HS Precision 2.0"
The 3G2 is out-of-the box 3 gun perfection. The specifications and components are a wish list for the best action competition rifle available, including CNC machined billet upper and lower receivers, competition style free float hand guard, standard 18" barrel, ambidextrous controls and an adjustable gas system. Timney Competition trigger factory set at 3lbs. The HAVAK action wrench allows gunsmiths and our knowledgeable end users to secure the action and barrel to one another. This rifle is built to order. This carbine is designed specifically for use with a suppressor (not included). The overall length is kept to a minimum, making it perfect for tactical applications or running short range 3 gun courses with a suppressed carbine. Superior manufacturing is combined with the best components available including CNC machined billet upper and lower receivers, suppressor adaptable M-LOK handguard, 8” match grade stainless steel barrel, ambidextrous controls and an adjustable gas system. The Seekins Precision Bolt Carrier Groups are a prime example of why our slogan is "Unrivaled Innovation." Using the finest grade materials, machined to our exact specifications, and featuring our Element Surface Treatment, these BCGs cycle smoothly throughout prolonged engagements. We are excited to share the first product of our HAVAK logo gear line up! Much like it's ceramic siblings, this mug was handcrafted behind the shop using our own billet pottery wheel powered from the gas harvested from the ATC muzzle break. The Seekins Precision Low Profile Adjustable Gas Block lets you to fine tune your rifle's gas system for smoother cycling and operation. Regulating the amount of gas used to cycle the action allows tuning the rifle’s operation to a specific load and the use of low mass bolt carriers, buffers and springs to reduce felt recoil. 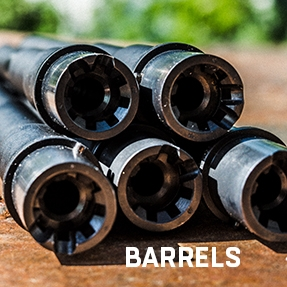 Available Diameters: .625", .750", .875"
The addition of a suppressor, dirty conditions or even switching ammo are all factors that can lead to undesirable gas settings on your rifle. Our patent pending design was initially developed to fulfill an order in our Government programs which required the ability to run suppressed or unsuppressed in the field. Superior performance and unique, easy installation set the Seekins Precision Advanced Tactical Compensator apart from other muzzle devices. 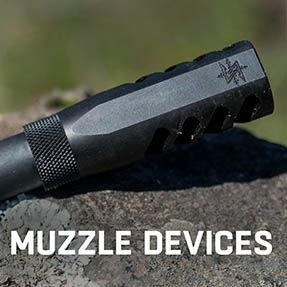 Stainless steel construction, innovative design and unrivaled reduction in muzzle rise and recoil make the ATC the best compensator available. These mugs were handcrafted behind the shop using our own billet pottery wheel powered from the gas harvested from the ATC muzzle break. The Billet Mag Release Button is a drop in upgrade for any AR Rifle. CNC machined from a solid piece of aluminum. Really, it's just a charging handle, a very non-ambidextrous one. Field adaptable and easy to install, Seekins aluminum MLOK Rails are the best way to mount accessories on any MLOK or system hand guard. Introducing the new Seekins Precision temperature control device. Guaranteed to keep your beverage colder than Canada in July. Introducing the Red, White, and Blue micro patch, because we've all seen awkwardly massive patches trying to fit on too small of an area. This Tyrion inspired patch measures in at 1x3 inches making it the prime dimensions for backpack straps, shoulders, hats, and anywhere else you can stick 'em. This could very well be the final piece missing from your tacticool patch collage.